Swedens Sámi people are protesting against iron ore mining on their lands. Swedish police have broken up a protest by Sámi men and women protesting against iron ore mining in a crucial reindeer herding area in the Swedish Arctic Circle. 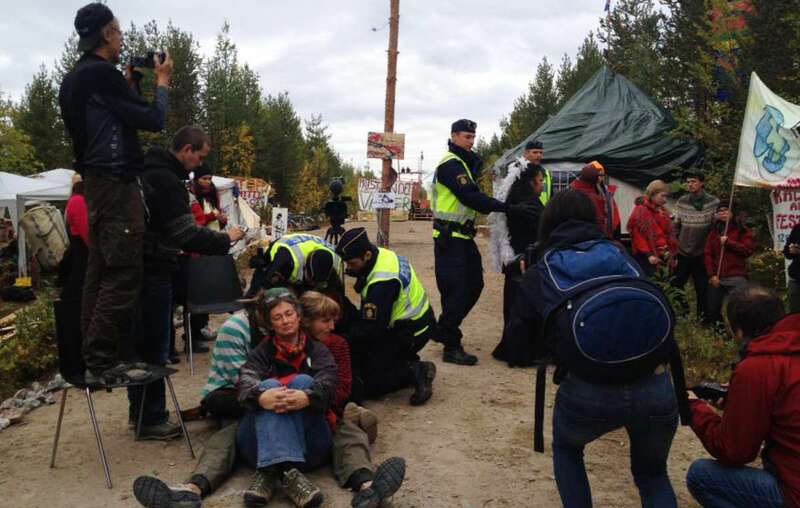 The Sámi and other activists have been blockading a mining road since early July. They have prevented workers from British-based Beowulf Mining company from drilling and exploring on the traditional land of the Sámi. The first to be removed from the protest today was 85 year-old reindeer herder Apmut-Ivar Kuoljok. In recent weeks the Swedish police have dismantled the blockade and arrested the protesters, but the protesters rebuilt the blockade after the police had left. The police arrested several protesters and tried to dismantle the blockade. British-based Beowulf, with its Swedish subsidiary, Jokkmokk Iron Mines AB, is seeking to conduct test drilling as they explore for iron ore in Gállok, just above the Arctic circle. The Sámi community believe that the planned mine would devastate the conditions for reindeer herding in the area. The territory is used by the Sirges and Jåhkågasska Sámi communities for reindeer herding, a practice which remains spiritually and culturally crucial to the Sámi. Jonas Vannar, from the Sirges Sámi community said, ‘This project endangers our entire existence’. 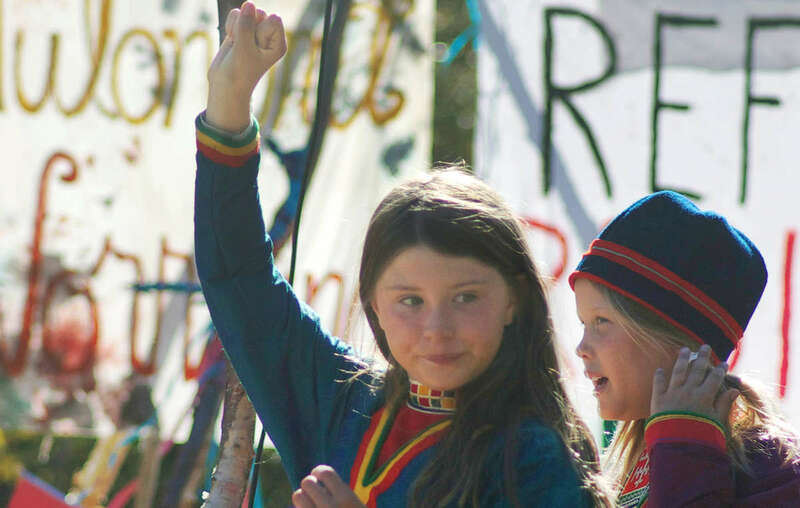 The Sámi parliament has issued a demand to halt all mining on Sámi lands without free, prior and informed consent. The dispute has increased calls for the Swedish government to recognize Sámi ownership rights to their land and to ratify ILO 169, the only legally binding international convention on indigenous and tribal people. There are an estimated 80,000 Sámi in Sweden, Norway, Finland and Russia, of whom more than 20,000 live in Sweden.